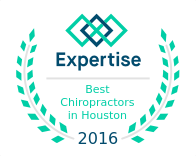 We have an exceptional team of doctors that prides itself in providing high quality chiropractic care to each one of our patients. Some information on our website, like monthly newsletters, are written and provided by our website host and do not necessarily reflect the professional opinions of the doctors at Nasa Chiropractic. If you have any questions please ask your doctor, we would be happy to discuss and explain our professional perspective. Sign-up using the form or call us at 281-486-1675 to learn about our exclusive offers.